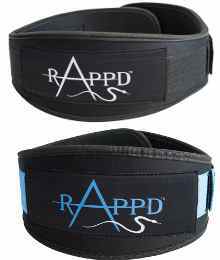 Rappd 4″ Heavy Duty Neoprene Training Belt has been designed with functionality and efficiency in mind. Our 9mm thick high grade Neoprene material is second to none. 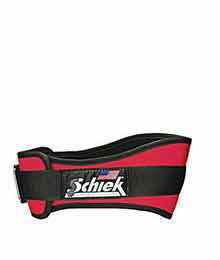 The support provided by this heavy duty neoprene and our contoured design, will give you the total core support needed to lift safely. Our Premium grade hook & loop velcro system is 25cm in length, giving you the security needed to keep your training belt locked into place. Suitable for Squats – Bent over rows – Deadlifts – Shoulder press – or wherever you feel your lumbar is at risk of hyperextension/flexion.